Do you want to enjoy the great outdoors without having to put up with mosquitoes and extreme temperatures? If so, a beautifully crafted sunroom from Hathcock Home Services is what you're looking for. Our custom built rooms will allow you to enjoy the outdoor world free from the unpredictable weather and insects! Built with highly energy-efficient Gorell and Vi Win Tech windows, our sunrooms will enhance the value and beauty of your home all while providing a comfortable living space to be enjoyed all year long. Contact us today and we will work with you to design a sunroom to fit your taste, budget, and home. Many of our sunrooms are built under pre-existing porch roofs, but for rooms that are built on patios or decks, we use our insulated roof panels. Our insulated LRPs (Laminated Roof Panels) are made with an expanded polystyrene(EPS) foam core. EPS is a high-performance insulation specified by architects nationwide for many of today’s energy efficient homes. Using these insulated panels on our sunrooms creates a strong, durable, and energy efficient roof that lasts! Our insulated LRP roof panels begin with baked enamel finish on aluminium skins. These aluminium skins are permanently pressure bonded to a 3” or 6" core of EPS(Expanded PolyStyrene Foam). 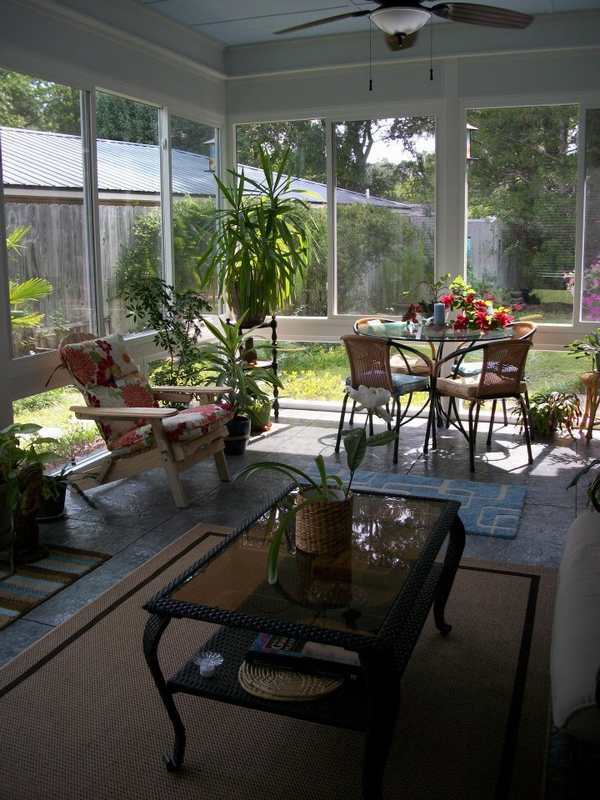 Our sunrooms are built with the most energy-efficient glass on the market, keeping your energy bills low. Chooese bewtween 4 different triple-pane options, 5 different double-pane options, and 4 different armor (or impact)glass options. Choose your Low-E coatings, Double Low-E coating, Argon Gas, and Krypton Gas. Many other options such are grids and colors are customizable. Numerous window styles are available. Choose between picture windows, sliders, triple sliders, casement, double hung, and more. The option are nearly unlimited! Please view our window page and our photo gallery to learn more about our windows. Like our windows, our doors are extremely energy efficient. Sliding or swing doors are available. 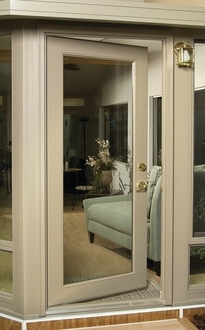 We use vinyl or fiberglass doors to ensure the product is maintenance free and long-lasting. Choose between numerous styles to best fit the door to your room and budget. Customize your glass to match the glass in the windows! Please view our "Door" page and our photo gallery to view more info on our doors. 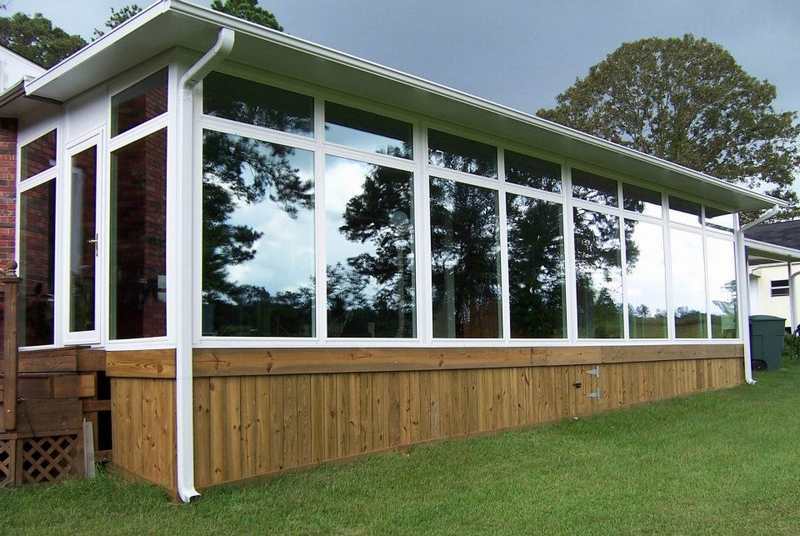 Hathcock Home Services builds sunrooms (Florida rooms) and patio enclosures for customers in Dothan, Ozark, Enterprise, and the surrounding southeast Alabama region. We also serve customers in parts of southwest Georgia and the northern Florida. 537 Bic Road, Dothan, AL.